Of all Donald Trump’s transitional appointments, perhaps the least controversial has been his choice of South Carolina governor Nikki Haley for UN ambassador. Haley, who will need to be confirmed by the Senate, is a seasoned politician at the national level but has far less foreign policy expertise, an experience gap that could quickly make itself felt as the governor juggles dealing with the UN bureaucracy while handling major rivals like Russia and China. First on Haley’s plate will be turning her boss’s mostly unarticulated views on the United Nations into a coherent approach to the global body. During the campaign, Trump indulged in strident criticism of the UN, denouncing it in a speech to AIPAC as “not a friend” of freedom, democracy, the US, or Israel. In that same vein, the President-elect has threatened to dismantle some of the Obama era’s key multilateral accomplishments. He pledged to pull the US out of the Paris climate and tear up the nuclear deal with Iran, fatally undercutting two of the UN’s banner accomplishments. This would anger the other members of the Security Council, who backed the Iran agreement unanimously, as well as the UN leadership who helped bring both to fruition. For diplomats used to Obama-style multilateralism, Trump’s victory has been a harsh shock. The UN has long had a fraught relationship with Republicans, but Obama had mostly shielded the organization from their reach. Even Obama, though, has at times found himself at odds with the UN. He has consistently shielded Israel from UN criticism, and is the only president since 1967 to not allow a single Security Council resolution specifically condemning Israel. During Obama’s tenure, the US also defunded UNESCO after the agency admitted Palestine to its ranks. Where Obama’s approach to the UN has been muted, the Congressional Republicans who will need to confirm Haley’s nomination have been far more outspoken. To that end, Florida representative Ileana Ros-Lehtinen introduced a United Nations Transparency, Accountability, and Reform Act in 2015 that would have pushed for voluntary US funding of the UN and required an itemized justification of the funds the US government was contributing to the UN budget. Those demands aren’t new: Marco Rubio introduced an identical bill in the Senate in 2011. The opaqueness of American contributions to the UN, as described by Rubio and Ros-Lehtinen, is a major sticking point. The most recent example involves the International Agency for Research on Cancer (IARC), which operates as part of the World Health Organization and receives substantial funding from the National Institutes of Health (NIH). Jason Chaffetz, Chairman of the House Oversight Committee, is currently leading a Congressional inquiry into NIH’s funding of IARC, which has been criticized by other scientific bodies over a series of controversial findings that break from those of regulators in both the US and Europe. These include glyphosate, a common herbicide IARC determined “probably carcinogenic” in contradiction of recent findings issued by the EPA and international health authorities. Alongside glyphosate, however, IARC has also found itself on the defensive for its evaluations of processed meats and especially coffee, which it insinuated was carcinogenic for well over two decades before changing its mind this year. The agency’s critics, Chaffetz among them, say the agency lacks transparency and scientific rigor and is too quick and too liberal with the carcinogenic label. With a fellow skeptic replacing Obama in the White House, initiatives like the Chaffetz investigation are likely to pick up steam. While a stricter approach to America’s share of the UN budget will ruffle diplomatic feathers, the new administration and its Congressional allies have a strong hand to play. Namely, the US is the single largest contributor to the UN budget, with its mandatory and voluntary payments amounting to about $8 billion annually. With Washington on the hook for 22% of the UN’s regular budget and 28% of the peacekeeping budget, American lawmakers have considerable power of the purse: UNESCO, for example, had to forego over a fifth of its operating budget when it lost US funding. As US ambassador, Haley will be the embodiment of America’s attitude to the UN apparatus. After all, one of the main sources of relief among diplomats in New York at the news of the Haley appointment was that Donald Trump would not be sending another “angry white man” in the mold of John Bolton. That honeymoon might not survive an era of intensified Congressional scrutiny and lower contributions, but the measure of influence that the US maintains over the UN structures will depend in large part on Haley and her ability to channel her gubernatorial experience in dealing with an entrenched bureaucracy. Unfortunately, the US in general and Haley in particular will be bringing far less firepower to the UN Security Council. The new ambassador will have to navigate pressure from both Russia and China; Moscow has repeatedly reminded the rest of the Security Council who calls the shots in the Syrian war, stonewalling resolutions from the other permanent members and agreeing to UN observers in Aleppo only after its allies took most of the city. Of course, the new president-elect’s professed willingness to work with Russia on Syria could mean Haley spends less time arguing and more time acquiescing. 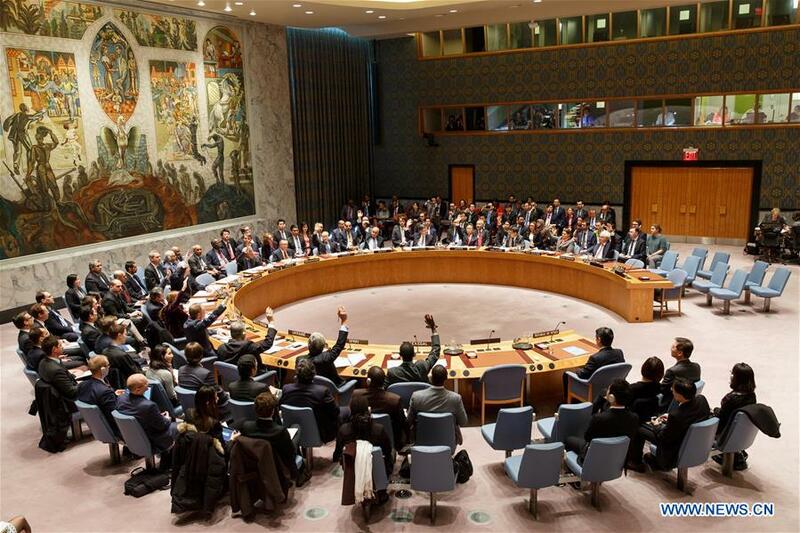 In either event, Beijing will continue quietly gaining ground on Washington and Moscow within the UN bureaucracy, making moves like increasing its funding for UN peacekeeping operations to increase its influence while its main rivals focus on mutual recriminations in the Middle East. While the particulars of Nikki Haley’s ambassadorship will remain a matter of conjecture until she takes her seat, one thing is for certain: come January, things are going to get interesting in New York.